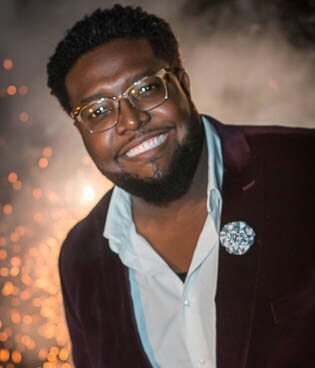 Leonard Towns, an Educational Psychology doctoral student in the College’s Department of Educational Foundations, Leadership, & Technology, has been honored by the American Association of Colleges for Teacher Education (AACTE) as its Holmes Scholar of the Month. The announcement was made in the AACTE’s monthly publication, EdPrepMatters. His research interests include educational theory, policy, and program evaluation. “I am extremely honored to have been chosen as the Holmes Scholar of the Month,” Towns said. Towns serves as an as an adjunct professor in the Department of Psychology at Tuskegee University, where he mentors future scholars and professionals. In addition to teaching and mentoring, Holmes has been active with research and presentations. In October he presented research on the experiences of male K-12 teachers at the National Association of Multicultural Education international convention in New Orleans. He later presented his work with Auburn University/Tuskegee University’s Nano-Bio program at the 3rd Annual HBCU Story Conference in Nashville. During the month of November, Towns successfully defended his dissertation, entitled Discovering Stereotype Limbo: Exploring the Relationship Between Stereotype Threat and the Professional Experiences and Identities of Male K-12 Teachers. Leonard, War Eagle and congratulations on what promises to be a great career.